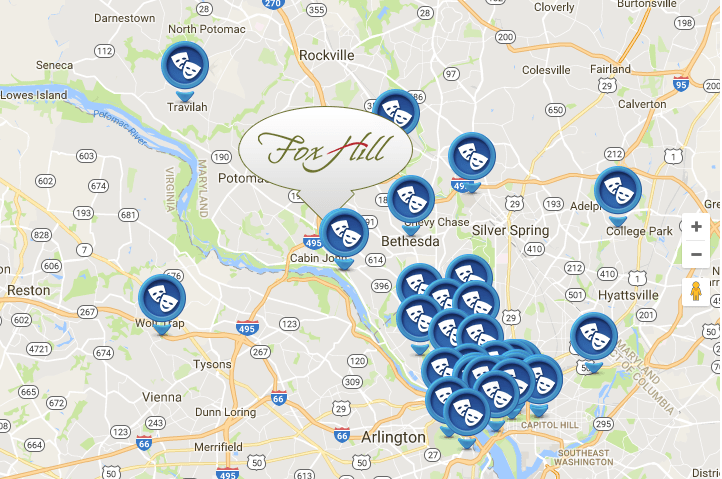 You’ll find Fox Hill on 16 wooded acres off River Road in Bethesda, Maryland, in a quiet, beautifully landscaped setting. Overlooking the prestigious Burning Tree Club, Fox Hill is near several other renowned golf courses and country clubs. One of the most affluent and well educated communities in the country, Bethesda is a thriving urban district brimming with restaurants, shops, galleries, theaters and museums. Bethesda is located just outside the northwest corner of Washington, D.C. where cultural and historical treasures of our nation’s capital region are within easy reach. Three major international airports are a short drive from our exit off I-495—Dulles International, Reagan National and Baltimore-Washington International—with direct flights around the world.